Our lock services cover everyone’s needs. 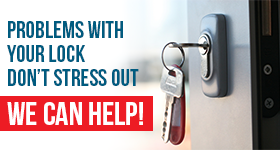 We, at Locksmith Delta, have solutions for those seeking ways to increase security and those in need of urgent help. Whenever you need lock change in Delta, contact us. We change broken locks after break-ins but also when you want to reinforce your security level. Some people need to increase the security at all entry points and some need reinforcement of internal security too. We can assist everybody with fast lock repair and proper installation services. We provide lock rekey to prevent ex-tenants of your new property to have access in your home or office. But we can also rekey your locks urgently and cut a new key for you should the original key is stolen. Need assistance when looking for new locks? Let us share our knowledge with you. Your security increases when you choose the right lock for each entry point. And for that our assistance will be very valuable. You should always trust the installation but also repair of locks to our pros to be certain that the job is completed right. Our techs are professional locksmiths with expert knowledge and training to provide such vital to your security services. 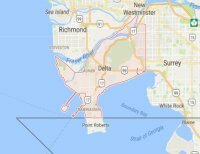 Need to change a lock in Delta, British Columbia? Call us.